Life gets busy. With work, family, and daily responsibilities to think about, it’s no wonder that we sometimes forget to maintain our relationships. However, spending quality time together is one of the keys to a successful romantic relationship. In fact, studies show that couples who travel together report greater feelings of intimacy. Science doesn’t lie! If you and your sweetie are in need of some quality time, there’s no better solution than romantic weekend getaways in Washington state. With stunning natural scenery and endless opportunities for adventure, Washington is a one-of-a-kind escape that the two of you will fall in love with, after falling in love with each other all over again, of course! 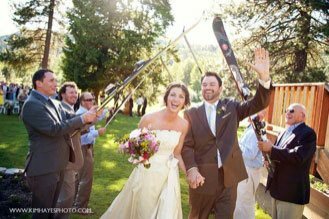 Just to get you started, here are our favorite Washington state weekend getaway ideas for couples! Planning romantic weekend getaways in Washington state? Then you’ll want to request your free copy of our Leavenworth Vacation Guide! It’s filled with great recommendations on local activities, attractions, restaurants, and more. Download yours for FREE right now! 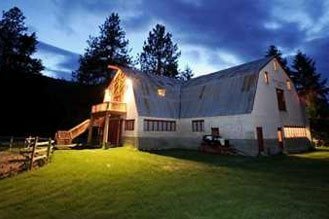 Located right outside the Bavarian-inspired village of Leavenworth, Pine River Ranch is a romantic bed & breakfast destination. 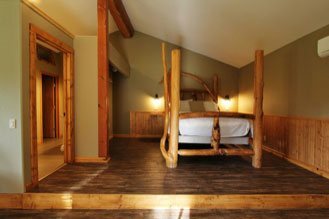 With scenic views of the Cascade mountains, rustic-style suites, and a variety of unique amenities, you and your sweetheart will enjoy everything you need rediscover your love for each other in a peaceful and relaxing setting. Guests of our bed & breakfast are also treated to a complimentary hot breakfast delivered straight to their door each morning. 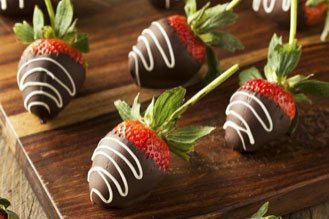 This gives you the opportunity to indulge in a tasty, gourmet meal inside your suite or on the porch overlooking the lovely property before embarking on your Leavenworth adventures. 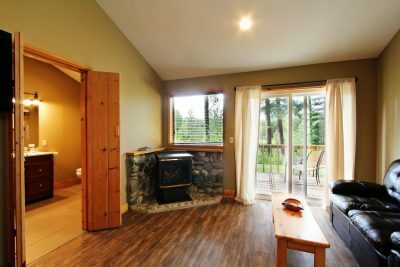 Our location near Stevens Pass allows the two of you to enjoy the nearby hiking trails in the summertime and snowshoeing in the colder months, which we provide to our guests for free. We invite you to unwind, rejuvenate, and make memories that will last a lifetime with us at Pine River Ranch! Exploring our Bavarian-inspired village is a must for weekend getaways in Washington state. In addition to traditional architecture and fairy-tale worthy charm, you will discover a wide range of unique shops and restaurants. Many visitors love to browse through downtown’s museums, candy shops, and boutiques before stopping for a delicious meal at Andreas Keller or Alley Cafe. It’s a great way to spend the day together while experiencing the best that Leavenworth has to offer. As one of the most respected wine countries in the Northwest, Leavenworth hosts a plethora of wineries for you and your sweetheart to choose from. Besides, you’ll hardly find a more romantic setting than a lovely vineyard in the Cascade mountains! Here are just a few of our personal favorite local wineries that provide quality and bursting flavor in each glass. No matter what time of year you visit Leavenworth, there is always something to do. This makes for some of the most unique Washington state getaways every time you stay! However, planning accordingly is important since some activities are only seasonal and may not be available when you arrive. Take a look at some of the most popular things to do in the great outdoors and when you can enjoy them! Book Your Romantic Weekend Getaways in Washington State Today! The dream escape you and your sweetheart have been dreaming of is only a few a few clicks away! We can’t wait to welcome you to Pine River Ranch soon. Check our availability today and don’t forget to download your free copy of our Vacation Guide to help you plan your adventure!